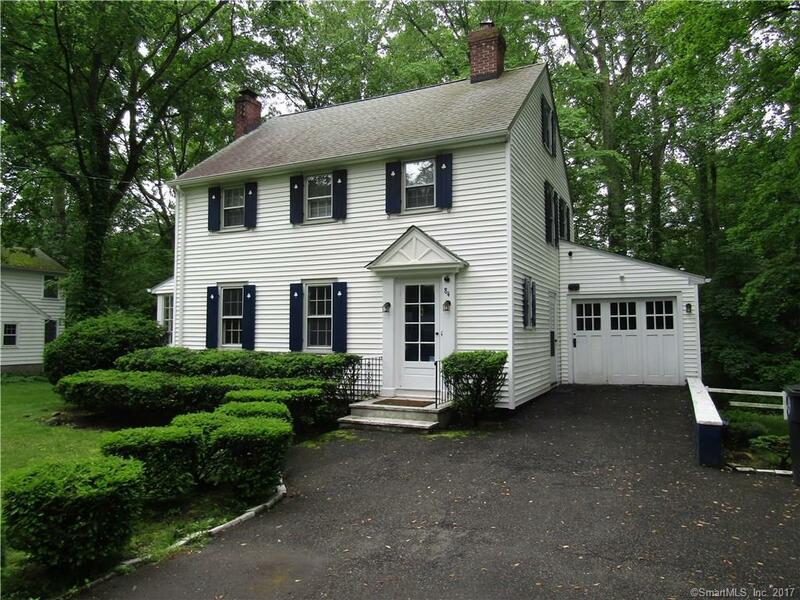 Charming colonial in convenient location to shopping, restaurants and highways. This lovely three bedroom home has Living room with fireplace, Dining room both with hardwood flooring. Sunroom off of dining room. Kitchen with granite and tile backsplash. Upper level bedrooms with hardwood floors. Full bath with original black and white tiles and large linen closet. Lower level features a pine paneled family room, Laundry room and plenty of storage. Beautiful yard with storage shed. Detached one car garage.